Despite all the Canadian branding, Maple Casino is truly an international gaming site that caters to a diverse clientele from around the world. Established in 2006 and licensed by the Lotteries and Gaming Authorities of Malta, Maple Casino uses software developed by Microgaming. 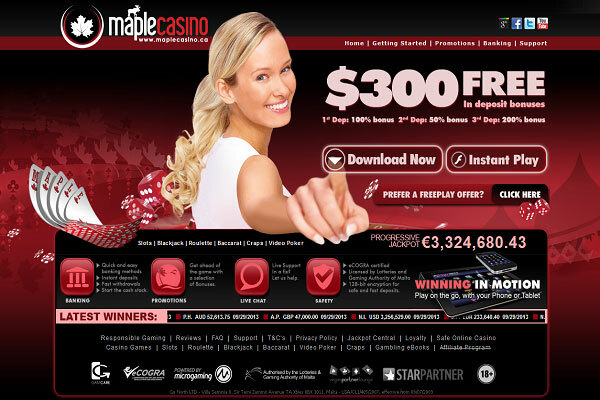 Thanks to their bulletproof 128-bit SSL encryption and certification from eCOGRA, Maple Casino is one of the most secure online gaming sites on the web. Besides a healthy Return to Player ratio of 95.36%, Maple also boasts a slew of bonuses and promotions as well as a 4-tier loyalty program for long-term customers. If you’re new to Maple Casino, they’ll give you an astonishing C$500 welcome bonus with 30 free spins on any slot machine available at the casino. Aside from that initial house money, Maple also offers a surprisingly generous 3-tier deposit bonus program and 250 loyalty point for new players. Once you download the software and register, they’ll match your first deposit up to $100. As a Canadian-focused gaming site, Maple Casino supports the Canadian dollar by default as well as the Australian dollar, the US dollar, the Yuan, the Euro and the British pound. Withdrawals and deposits can be made via Visa, Mastercard, Neteller, Skrill and direct bank deposit. 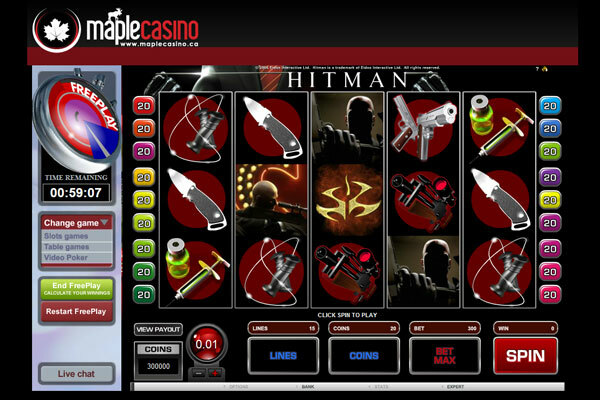 Maple Casino offers an astonishing 600+ games through one convenient portal. While most are slots, there are also all the other classic games of chance and skill like blackjack, roulette, baccarat, craps and Texas hold ’em. Oddly enough, Maple Casino does not offer live dealer games. They make up for this deficit by constantly rolling out new games on a regular basis. Popular titles include Dark Knight Rises Slots, Mega Moolah Slots and Age Of Discovery Slots, to name just a few. Excellent mobile apps for iOS and Android allow gamers on any platform to participate.